Armor Plus mod adds 8 types of armor, each of which has useful features and characteristics. You need only to put new armor set and you immediately get a certain feature. 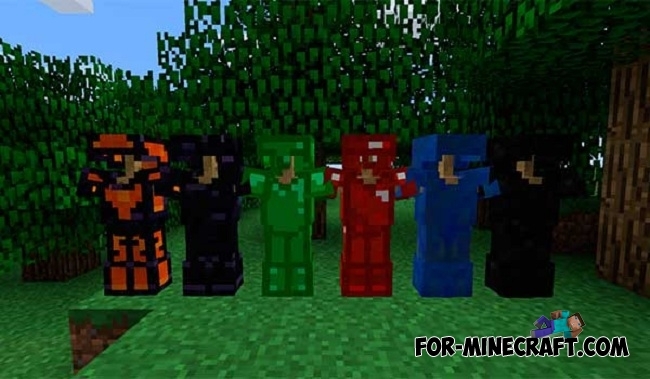 This is much better than an ordinary armor and can always come in handy in a critical situation.. For example, the emerald armor will help you for long travel. With its help the speed of your running will increase 12 times. 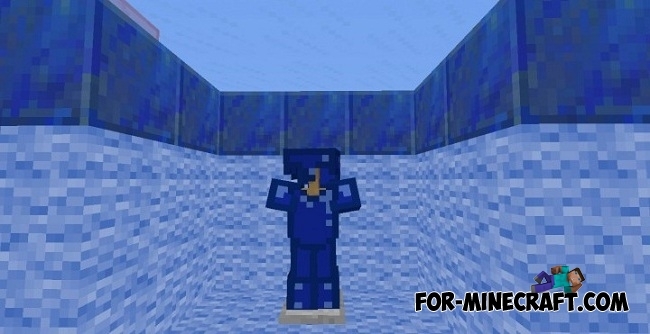 A similar armor was added in Special Armor mod for Minecraft PE 1.0.2, but there are some differences (can download this mod and compare them). 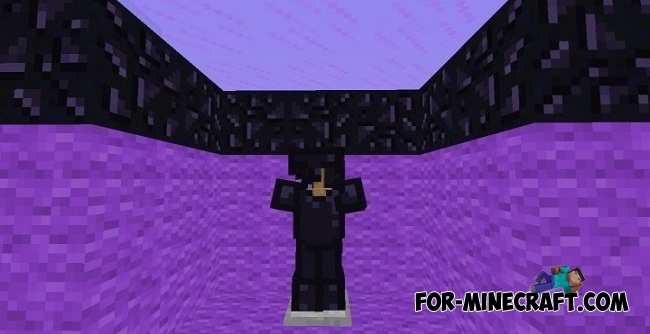 Ender Dragon armor is very effective armor that will give you four effects simultaneously. You will receive a health regeneration, resistance, fire resistance IIIlvl, and night vision. This type of armor is one of the most useful and coolest. 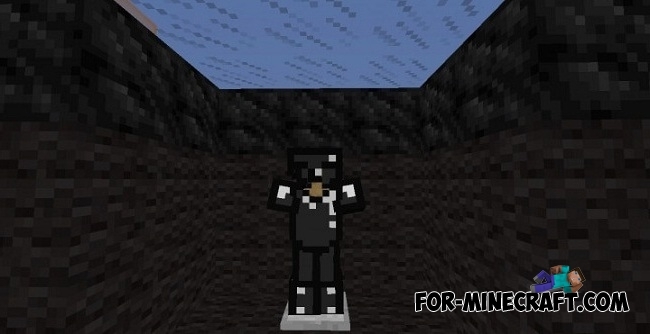 Coal armor is the simplest of all armor. All you get is a night vision. 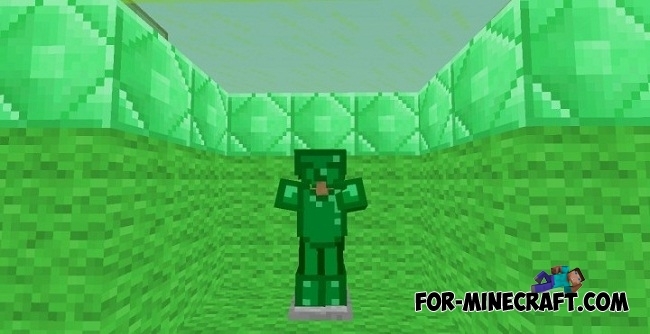 Emerald armor. As you can see above, this armor will increase your speed. You will be able to move quickly with the vehicle speed. Lapis armor. Wearing it you will be able to breathe underwater infinite time. Moreover, this armor looks pretty good. 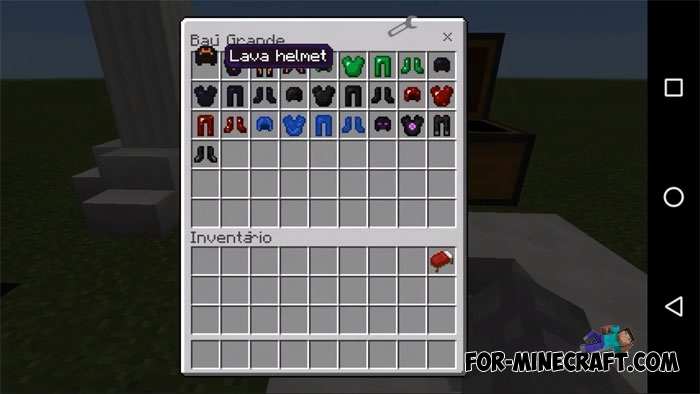 Lava armor has the ability of fire resistance. Therefore, you can not be afraid and go swimming in lava. Obsidian armor provides resistance to all creatures. Fight with any mob and you are sure to win. 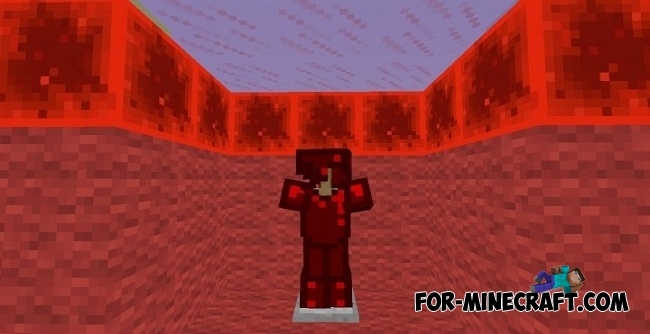 Redstone armor restores your health. Food will be meaningless if you use it. Guardian armor changes the behavior of the guardians. As soon as you put this armor, the guardians surrounding you will restore your health. 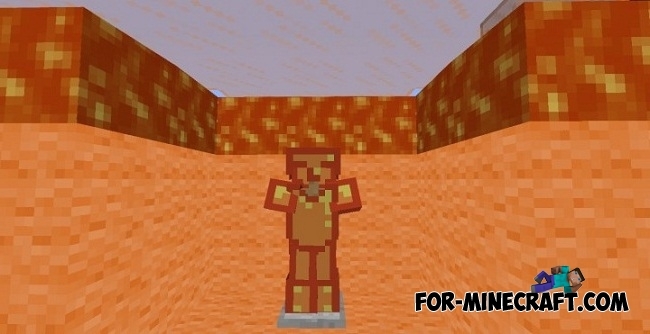 Armor Plus mod does not replace the standard armors, so you can always craft a good old iron armor. How to install the Armor Plus? Download the file and open BlockLauncher. Click on the wrench at the top and go to ModPE. Select the downloaded file (.modpkg).